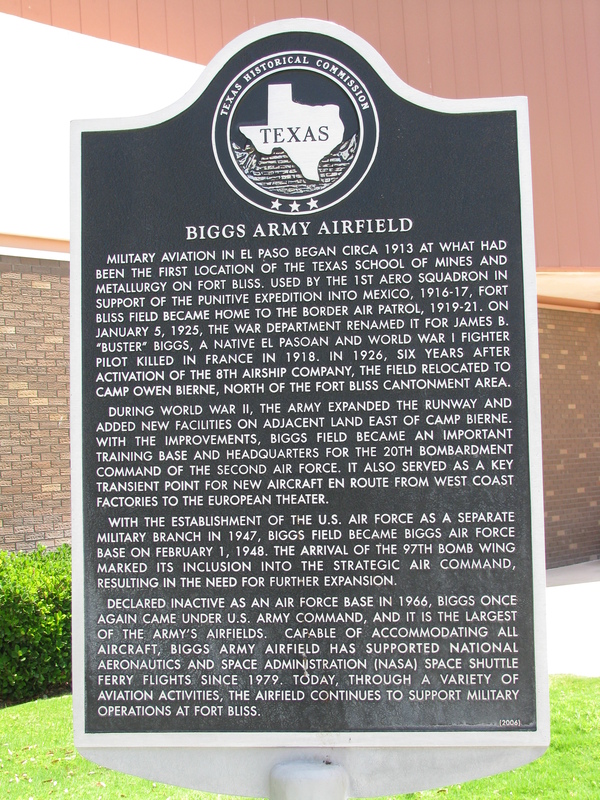 Dr. Martín just found the above sign near the entrance way to the Biggs’ Airfield Centennial Club on Fort Bliss in El Paso, Texas. She took this photo for our archives. The sign is not far from the offices of the Army’s Sergeant Major Academy’s Historian, Dr. Robert Bouilly, a frequent contributor to FASF historical research and reporting. Dr. Martín and Ric Lambart made a presentation about the FAS and its history to a group of retired Military Officers and FASF members at the club this month. This entry was posted in HOT NEWS! on June 25, 2015 by FASFRIC.